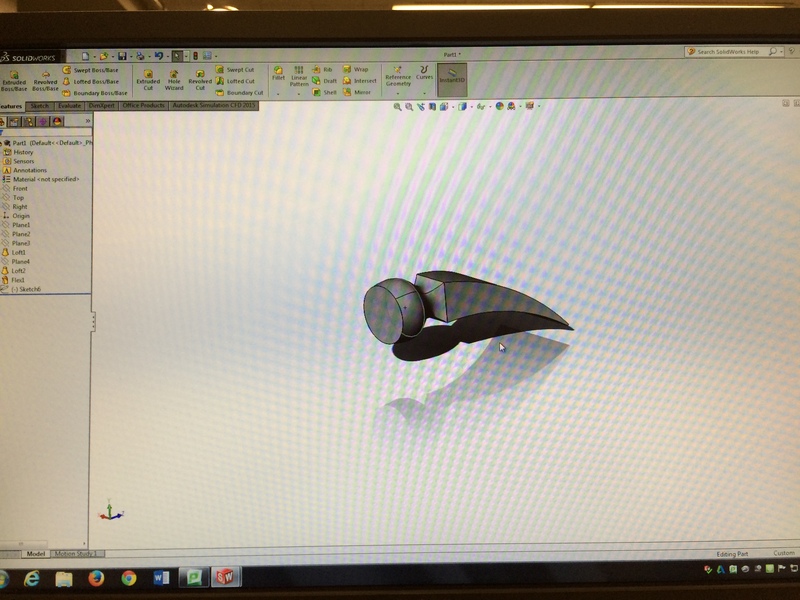 Last week was yet another meeting in which the team did another Solidworks tutorial. They worked on lofting bodies and also bending objects to create the hammerhead shown above. The team, though its shrunk a little in size, has been making great progress and is getting comfortable with the program. From here on out I’ll have them re-create the bridge members from last year to give them an idea of how to apporach making a bridge member in the future and what tools or techniques are required. More updates to come.